The following paragraph is quoted verbatim from the NRHP nomination submitted in 1990. 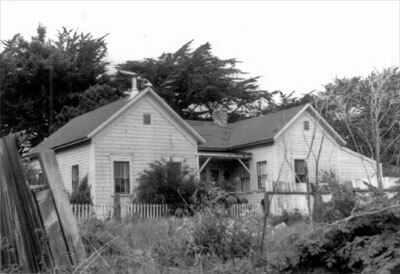 This house is associated with one of Point Arena's founding families and is the only building directly linked with one of its early leading citizens. Dr. J. G. Morse arrived in Point Arena in 1858; his son Le Grand -followed a year later. Le Grand Morse had a career of increasing prominence, beginning as a teacher and store clerk, moving into the sales of drugs and general merchandise, and finally becoming a lawyer and state legislator. It is unclear whether he had the house built for himself or moved into it sometime after its construction. In any case, he lived there during the most productive years of his life. His career ended on a sad note when he was arrested and imprisoned for accidentally poisoning his mother in 1898. (He was trying to murder his brother.) Morse, one of the last of the town's original settlers, died in 1907. The house itself is a curious example of residential building in the 1870s. The construction materials all date from that era, but the irregularly shaped U-plan appears as if the elements of the building were somehow pieced together after construction. 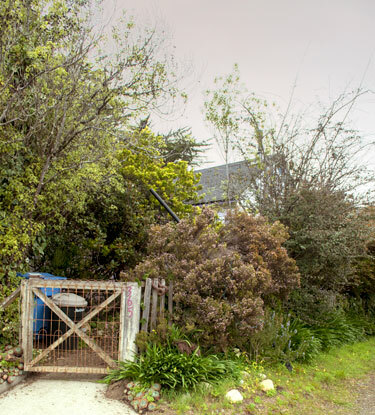 The house shows that leading citizens of Point Arena did not require pretentious dwellings.